Volunteering for us is fun and rewarding in so many ways! We are extremely passionate about serving the Omaha dog community but need your help before we open our permanent location. 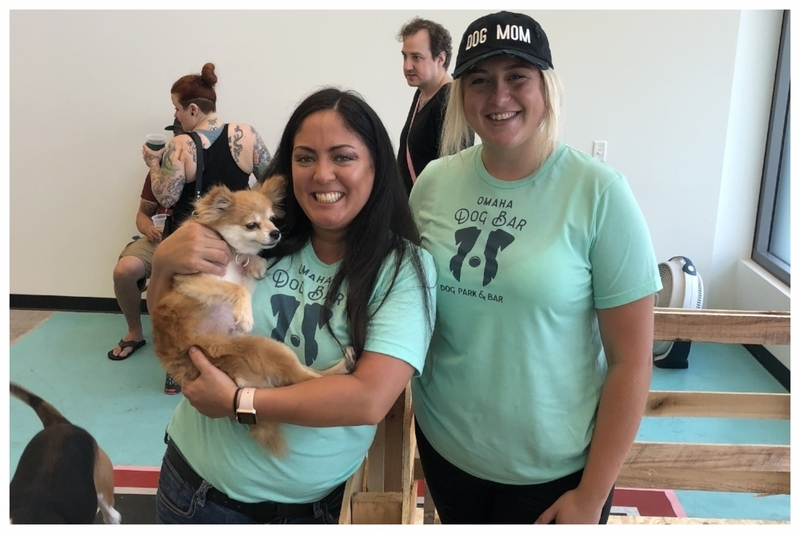 In exchange for becoming an Omaha Dog Bar Volunteer, you'll receive a t-shirt, super fun times with all the pups, and an opportunity to help open Nebraska’s first Indoor/outdoor dog park and bar! Plus, when we are officially open, you will get a discount on membership fees! Please read the volunteer information below before submitting an application. We look forward to hearing from you! What are some of the duties of a volunteer? Setup Helpers: These volunteers will tend to various elements at events. Duties might include: decorating; assisting vendors; cleaning; refilling water bowls and poop bag stations, etc. Bark Park Ranger: These volunteers will ensure that pups are playing safely and should feel comfortable enough with pups to break up any sticky situations if they should arise. Thank you for inquiring about becoming an Omaha Dog Bar volunteer! We will get back to you as soon as we can. For now, make sure to follow us on Instagram & Facebook (@OmahaDogBar) for upcoming news and updates!